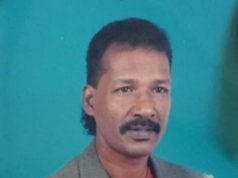 Petaling Jaya, April 26 – The passing away of talented Hani Shivraj recently was undoubtedly a great loss to the local entertainment industry. It is indeed very rare for our Malaysian artistes to secure opportunities in Tamil film industry in Chennai but Hani Shivraj managed to appear in a string of films due to her talents and sheer perseverance. The outpouring eulogy by popular Tamil film director Vengat Prabu who casted her in his films, showed Hanii Shivraj’s talented work and dedication to her acting profession. Her untimely death also shocked the Malaysian entertainment industry. Her family has announced that the 16th Day Athma Shanthi prayers Haaniida Sivakalaivahni @ Hanii Shivraj will be held on Monday, 27th April at 7.30 pm at their residence, 100 Jalan 22/44, Section 22, Kg. Tuanku, 46300 PJ. This will be followed next morning by the Atma Kiriyai Santhi Pooja at the Templers Park Riverside at 4.00 am. Hanii’s family invites all her friends and fellow artistes to attend and offer their prayers to their beloved daughter and for her soul to rest in peace. Hanii’s parents Jothithar (Astrologer) Rajeswaran (Ex MCIS) and Saraswathy Subramaniam (Ex Pantai Medical Centre) and family also thanked all relatives and friends for their attendance, wreaths and for sharing their grief during their bereavement.